Spell checkers in document editing programs like Microsoft Word are helpful in ensuring that you have minimized the number of errors that are present in the document. Since emails that you send in Outlook 2013 are read by other people, often in a professional environment, it is likely that you wish to minimize the spelling errors in those documents as well. 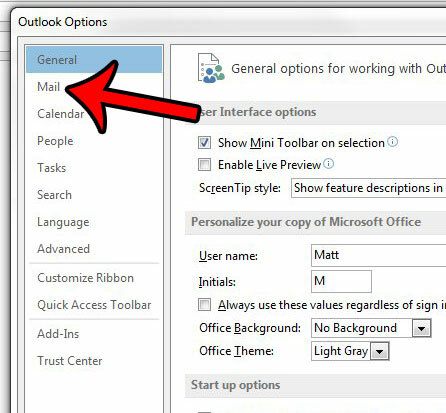 Outlook 2013 has a spell checker that you can run on your own, but it is easy to forget to do so. 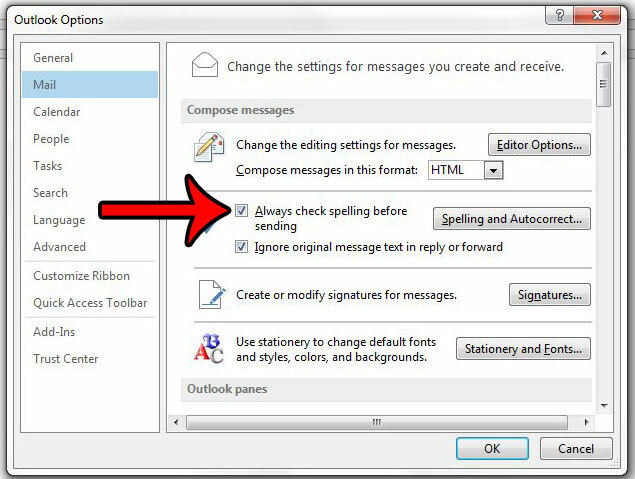 Fortunately Outlook 2013 also has an option that will automatically check your spelling when you click the “Send” button. You will then have the opportunity to review the spelling mistakes that Outlook has identified, and you can choose to change them or ignore them as you see fit. 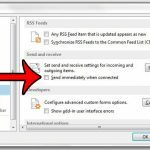 The steps in this article are going to show you how to change a setting in Outlook Options so that the program will automatically run a spell check before it sends the message. If this becomes tedious, then you can turn it back off and only run manual spell checks when you think they are needed. This article will show you how to run a spell check on your own. 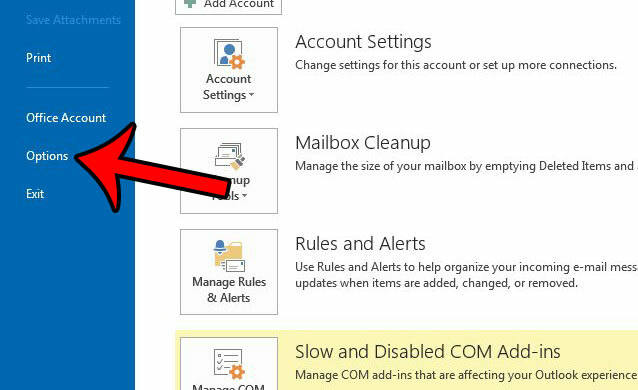 Continue below to see how to turn on automatic spell checks in Outlook 2013. 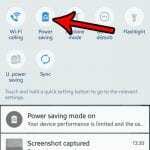 Step 5: Check the box to the left of Always check spelling before sending, then click the OK button at the bottom-left corner of the window to save and apply your changes. Now when you click the Send button after finishing an email, the spell checker will run instead. Once you have chosen to ignore or change the last spelling error that Outlook’s spell checker identifies, the message will be sent. Do you often write messages that you would prefer to send at a later time or date? 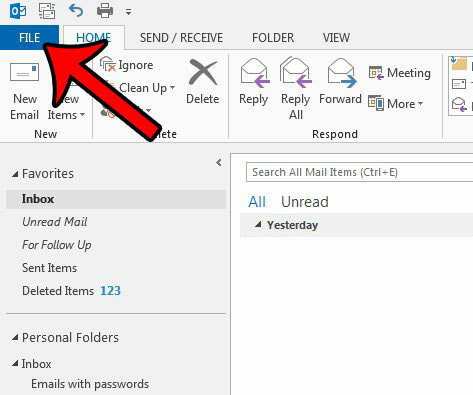 This article – https://www.solveyourtech.com/how-to-delay-delivery-of-an-email-in-outlook-2013/ – will walk you through using the “delay delivery” option in Outlook 2013.